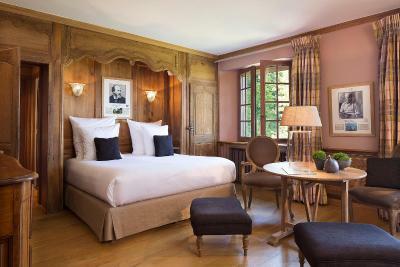 Lock in a great price for La Ferme Saint Simeon Spa - Relais & Chateaux – rated 9 by recent guests! Everything. 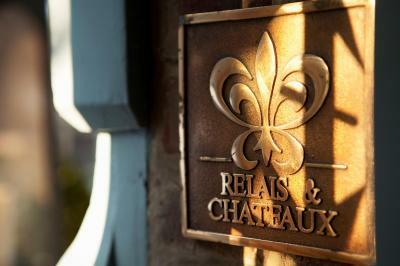 One of the best resort experiences in France, ever. Concierge Xavior was so exceptional. He took care of everything for us, so that our tours of the historic areas was exceptional. The location is truly fabulous at the exact point where the Seine meets the Atlantic Ocean. 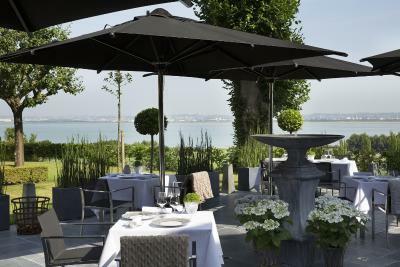 The new bistro Boucane brings a fresh touch to the classic French hotel....well done! Beautiful bedroom but would have been nice to have a proper shower as opposed to hand held shower over a corner bath. Beautiful indoor pool. Lovely meals in the Bistro and main restaurant. 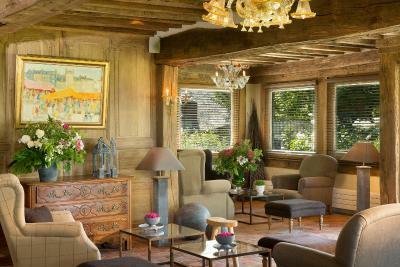 Amazing property and only a short walk to the centre of honfleur. Spa facilities were very nice and the restaurants were amazing. Just excellent. Probably the best 5 star property on the Normandy coast - streets ahead of the Barriere properties Deauville which are ages and dated by comparison. Resturant is fantastic, short but brilliant menu and breakfast as I. Should be - homemade jams, quality meat and cheese, homemade bread and brioche and fresh cooked eggs. Could not fault it. The proximity to Honfleur was perfect, just close enough to walk in for aperitifs. Beautiful gardens , spacious elegant room furnished and equipped to a very high standard. A very helpful member of staff at reception greeted us , showed us to our room and gave us a short tour of the hotel grounds and facilities. 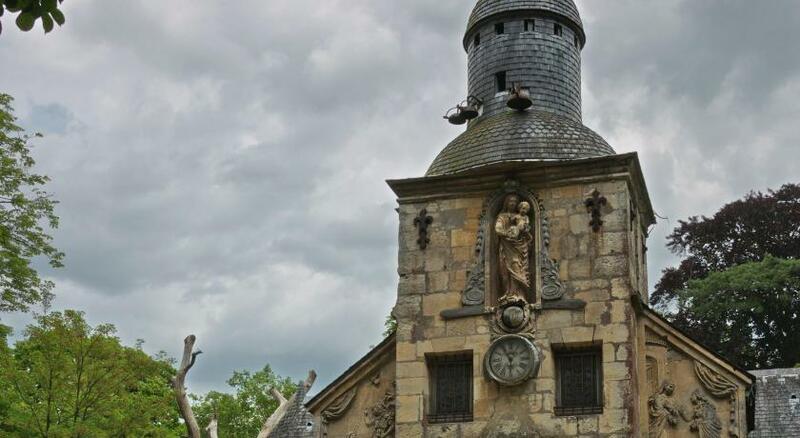 The Saint Simeon is located just outside Honfleur, 650 feet from the Normandy coast. It has an indoor swimming pool and a spa offering a hot tub, sauna, hammam. La Ferme Saint Simeon has individually decorated guest rooms, each with a mini-bar, an LCD TV with a DVD player and free Wi-Fi access. The private bathrooms include a hairdryer and slippers. The Saint Simeon’s spa offers various relaxation and beauty treatments. Guests can relax in the hotel’s floral garden and enjoy a drink or dinner on the terrace. 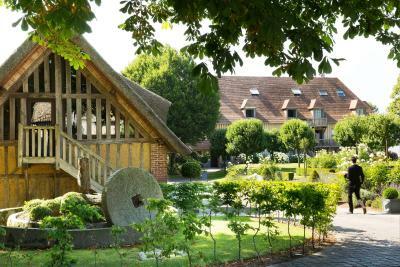 The Ferme Saint Simeon’s restaurant serves gourmet cuisine in the dining room or terrace. Guests can enjoy the breakfast in the comfort of their room or in the restaurant. Charging stations for electric cars are available at this property. 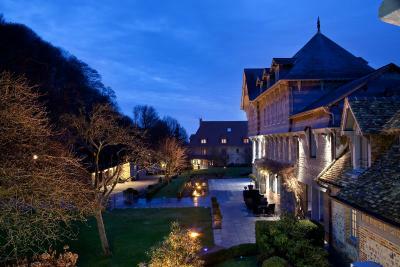 When would you like to stay at La Ferme Saint Simeon Spa - Relais & Chateaux? This room includes a flat-screen TV with satellite channels and a DVD player. 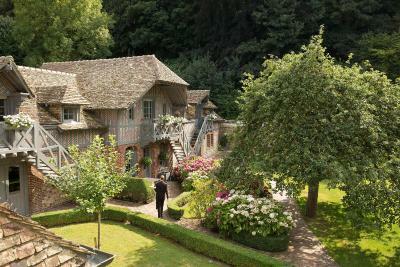 It features a view of the garden. This room includes a flat-screen TV with satellite channels and a DVD player. It features a view of the garden, mini-bar and bathrobes. This spacious room includes a flat-screen TV with satellite channels and a DVD player. It features a lounge area with a view of the garden. This spacious suite with a spacious bathroom includes a flat-screen TV with satellite channels and a DVD player. 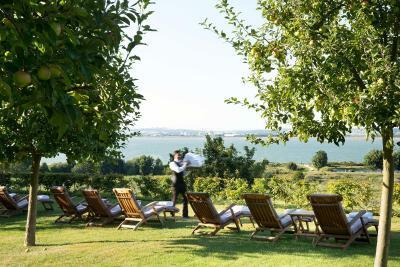 It features a private lounge with a view of the Seine Estuary. 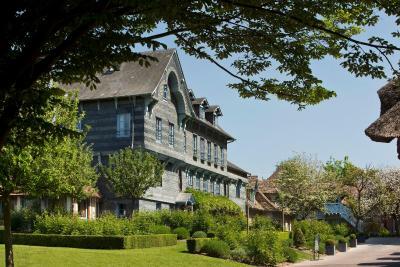 House Rules La Ferme Saint Simeon Spa - Relais & Chateaux takes special requests – add in the next step! 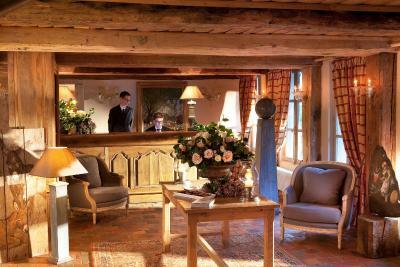 La Ferme Saint Simeon Spa - Relais &amp; Chateaux accepts these cards and reserves the right to temporarily hold an amount prior to arrival. La Ferme Saint Simeon Spa - Relais & Chateaux accepts these cards and reserves the right to temporarily hold an amount prior to arrival. wifi is always difficult outside the big cities....I guess that's how it is. Perfect place for a luxurious break. The breakfasts were very disappointing. Poor selection on the hot food and having to chase the staff to top it up which meant a lot of hanging around and waiting. Cold buffet also had a poor selection that was not kept topped up. Very frustrating! Very well located, just 8mins walk from central Honfleur. The premises is large, very charming and maintained at a very high level. Rooms are large, with chic decor, the bed was very comfortable. The staff were kind, polite and made our stay even more special! We travelled as a couple with our 6month old puppy, he was greeted by cuddles from the staff and they even provided treats and a bed for him to sleep in. The spa is gorgeous, and restaurants are amazing. An all round winner! I highly recommend it! Only drawback was lack of air conditioning, but fan was provided. Error in the bill. My credit card was charged significantly more than the (correct) figure printed on the bill. However the error was soon detected and I was notified by telephone. Little incident at the bar when little snacks where not ready 25 min after order. We gave up . Gesture by mangt to offer the beers was welcome. Connexion bar /kitchen seems a bit cumbersome sometimes. Room was not nice no character bathroom needed a good clean It was a superior room in the annexe. Top price paid for a 5 star hotel more like a 3 star very disappointing! Hotel was beautiful and immaculately presented. The food in the bistro was delicious. The staff were very friendly and helpful.